दीन दयालु बिन्ती लेऊ ! We will try to publish as much literary work of different authors collected from different sources. All of these work is not used for our profit . All the creative work belongs to their respective authors and publication. If requested by the user we will promptly remove the article from the website. 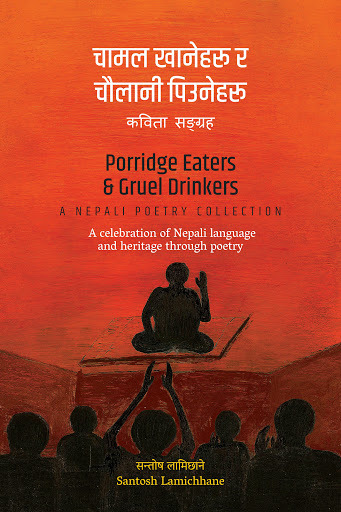 This entry was posted in कविता and tagged kabita, Lekhnath Poudel, nepali kabita, nepali literature, nepali sahitya, sangrahalaya. Bookmark the permalink. १. साहित्य सृजना कसरी गर्ने ? २. हाइकू कसरी लेख्ने ? ३. गेडी कसरी लेख्ने ? ४. गजल कसरी लेख्ने ? ५. छन्दमा कविता कसरी लेख्ने ? ६. तान्का कसरी लेख्ने ? ७. रुबाई कसरी लेख्ने ? ८. छेस्का कसरी लेख्ने ? ९. मुक्तक कसरी लेख्ने ? १०. कविता कसरी लेख्ने ? ११. कथा कसरी लेख्ने ? १२. सिजो कसरी लेख्ने ?